VALENCIA, Spain (Reuters) - Rescued migrants turned away by Italy and Malta arrived at the Spanish port of Valencia on Sunday, ending a gruelling Mediterranean odyssey that became symbolic of Europe's failure to agree on immigration. Spain swooped to help 629 mainly sub-Saharan Africans on board the ship Aquarius last week after Italy's new government, asserting its anti-immigrant credentials, refused to let it dock. Spain's Prime Minister Pedro Sanchez, who took office two weeks ago, took the opportunity to show a more liberal stance. 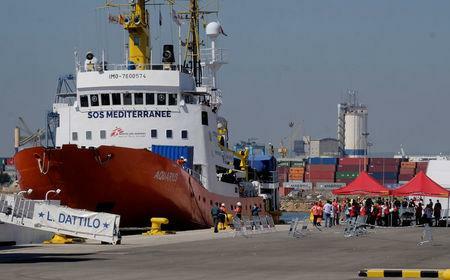 But the plight of the Aquarius, run by Doctors Without Borders (MSF) and Franco-German charity SOS Mediterranee, highlighted the European Union's struggle to manage an influx of people fleeing poverty and conflict. "This sad odyssey of the people on the Aquarius is another reminder that all people, regardless of their nationality or immigration status, should have access to basic assistance and protection," Sy said in a statement. "No human being is 'illegal'," added Sy. Malta refused to take the boat, saying it had nothing to do with the rescue, which was coordinated by Italy's coast guard. 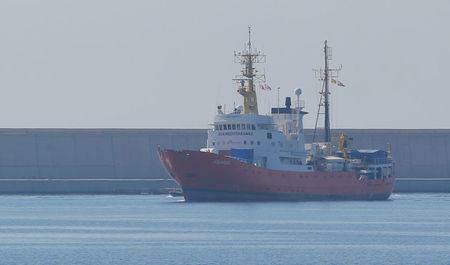 Karline Kleijer, MSF's head of emergencies, told a news conference refusing safe port was "shameful". "MSF denounces any European government which is choosing political scoring of points above saving lives at sea," she said. "People were threatening to jump into the water (during) the standoff between Italy and Malta, because they were scared and said if we have to die we'd rather die at sea than in Libya." "For the first time, a boat that left Libya aiming for Italy docks in a different country: a sign that something is changing, that we are not Europe's doormat any more." Far fewer migrants have arrived in Spain, but the number is rising fast, with more than 1,000 rescued by Spain's coast guard on Friday and Saturday. 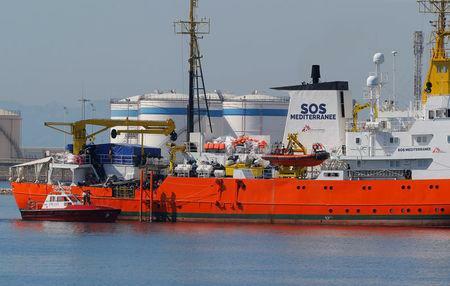 A search is underway off the coast of Almeria after four sub-Saharan men rescued by helicopter said their dinghy had been carrying a total 47 people when it sank.